Pearl set gate link bracelet. Product code: 934 Categories: Sold Items, Sold Jewellery. 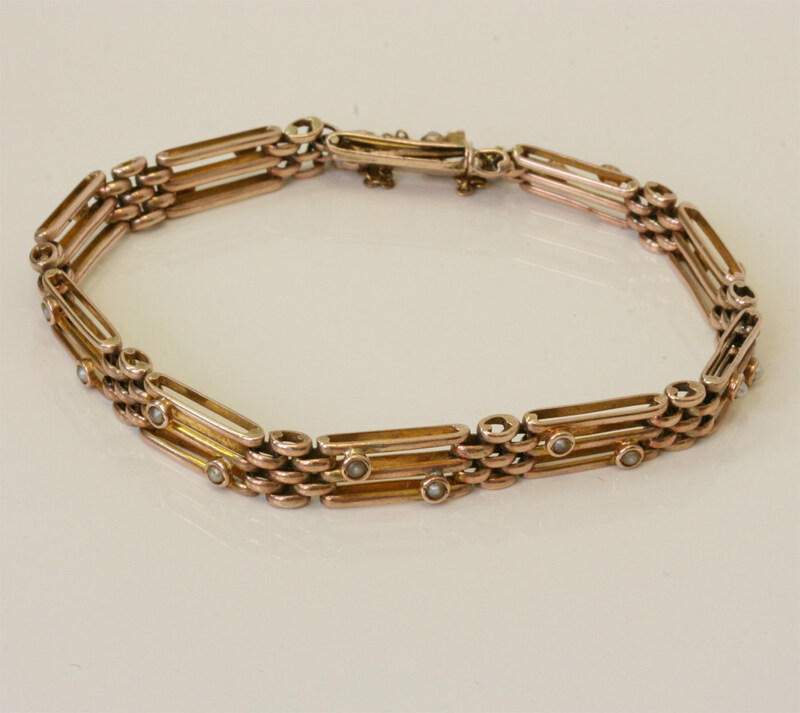 Here is a very attractive Edwardian era gate bracelet made in 9ct rose gold around the early part of the 1900’s. Measuring 6mm wide, this wonderful 4 bar gate bracelet is set with a total of 20 pearls making it quite different than most gate bracelets. With a concealed clasp, this antique bracelet sit just perfect on the wrist and looks perfect.